For the last month, I've been working six days straight with only Sundays off (hence the lack of posts). I have three more weeks of this hectic schedule before Aki and I go on holiday. 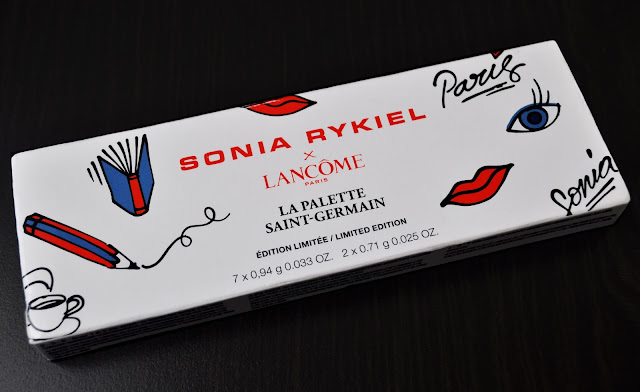 Continuing with the "Should it stay or should it go series," I bring you Lancome x Sonia Rykiel's A00 Saint-Germain maxi palette. How I miss Sonia Rykiel, but the packaging makes me happy. The Saint-Germain tester's eyeshadows were so stiff and dry, I was going to pass on the palette. However, I was brainwashed by the two SA's, after their tactical verbal waterboarding going on and on (for about thirty minutes or so), about how lovely the blues would look on my complexion, blah, blah, blah. I swear, I never fall for the jibber jabber, but I started exhibiting premature signs of PTSRD (Post-Traumatic Shoppers Regret Disorder), and caved. At first, given the metal flap covering, I expected the three shadows to be creams; wrong, they were powder. 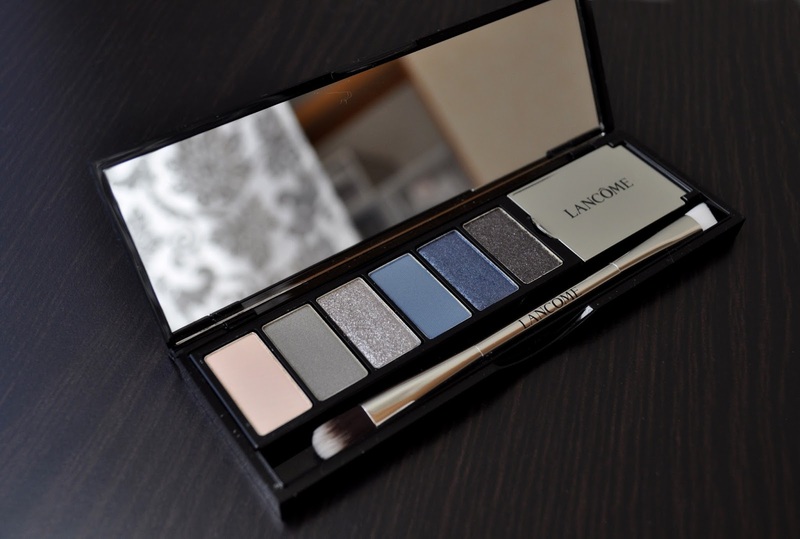 A little confusing, but I guess Lancome may be recycling some of their surplus compacts. Named after the vicinity of Sonia Rykiel's first boutique, the Saint-Germain palette houses nine cool-toned shades of blue, cream, gray, and a muted, bluish-sage eye shadow, with a combination of matte, satin, and glittery finishes. 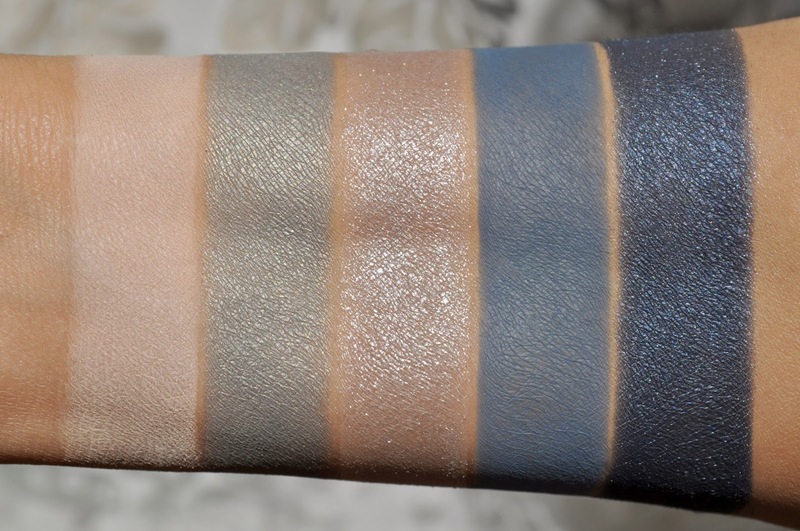 When swatching the eyeshadows, I was pleased with their pigmentation and texture. However, this was not the case once I applied them on the lids. All four matte shadows feel a little chalky. The first and seventh shades work well as bases. The second and fourth require a good primer, and a lot of work, to get a decent amount of color payoff. The third shade is my least favorite in the palette, and its lack of pigmentation left me wanting. The fifth and sixth shades are a bit powdery, but they apply reasonably well. 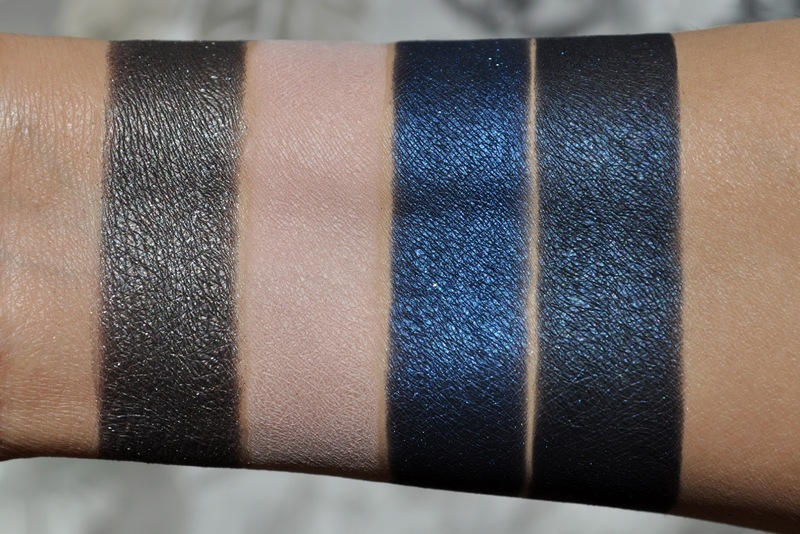 Finally, the eighth and ninth shadows have the best pigmentation, and texture, of the palette. A deep, slate blue glitter. A sooty, charcoal grey glitter. A sparkly, midnight blue satin. A dark, denim blue satin. 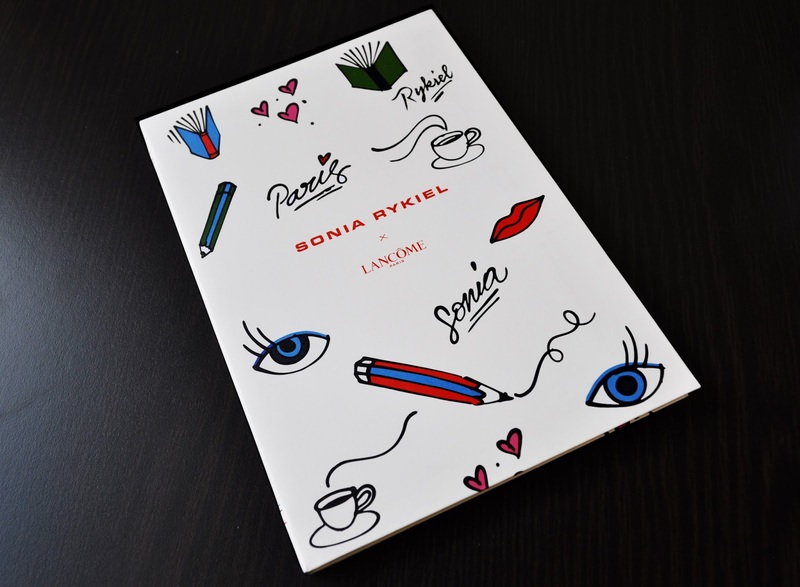 And for the beauty archives, the counter gave this Sonia Rykiel notebook as a gift with purchase from the collection. Overall, this is an okay, but challenging palette. And, the only reason I'm not getting rid of it is because it's Sonia Rykiel...but, that may change.